The facts and the law are only part of what lead to victory in a lawsuit; the judge matters too. Plaintiffs and defendants often fight over whether cases belong in state or federal court -- each seeing one of those venues as more sympathetic to their cause. Or in situations like the BP (BP)lawsuits, when there are so many cases that multiple federal locations could be justified, the two sides fight for a federal court they consider most "friendly." BP attorneys urged the panel to pick a judge from Houston; plaintiff attorneys argued for judges from several Gulf Coast locations affected by the spill, but mostly New Orleans. 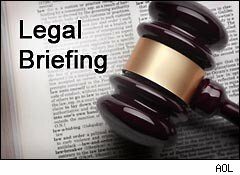 On Tuesday, the panel gave both sides something: Nearly 300 personal injury, economic loss and environmental claims will be heard in New Orleans; shareholder/securities law claims against BP will be heard in Houston. On the whole, the plaintiffs did better because the personal injury, economic loss and environmental claims are the ones where a sympathetic jury and judge matter most; the shareholder claims are much more technical and less emotional. Nonetheless, if plaintiffs don't have the facts or law to support their claims, even the most sympathetic judge or jury can't save them. Given all the evidence about the reckless way the well was drilled, however, I don't think plaintiffs are going to have much of a problem making cases. Should Goldman Have Disclosed the SEC's Threat to Sue? A con man seems to have sweet-talked his prosecutor. Above the Law reports that Samuel McMaster Jr. pled guilty to 26 securities fraud charges and could face 12 years in prison for conning his victims out of nearly half a million dollars. However, McMaster has talked his prosecutor into giving him the opportunity to make restitution, and if he does so, he can stay out of jail. His method of getting the money? Playing poker. Assuming McMaster generates the money legitimately, it'll be by fleecing other poker players. Apparently, he's good enough to make a living playing cards and thinks he can raise enough to pay $7,500/month for six straight months. If he does this, the prosecutor will be satisfied he's got the skills to make restitution and will let him keep playing for his freedom. If not, he goes off to jail. What happened to "do the crime, do the time?" And who cares if he's not a violent criminal, as the prosecutor noted in justifying her deal? As long as his mouth works, apparently anyone is at risk of being fleeced by him. Property crime hurts, too.